You can find plenty of kitchen counter surfaces these days. Each material has its own pros and cons. However, the latest trend is stone, stone, and more stone. There are countless choices in stone countertops and all of them are exceptionally durable. Thus, if you are looking for great kitchen countertop, then explore a number of options available in the market. 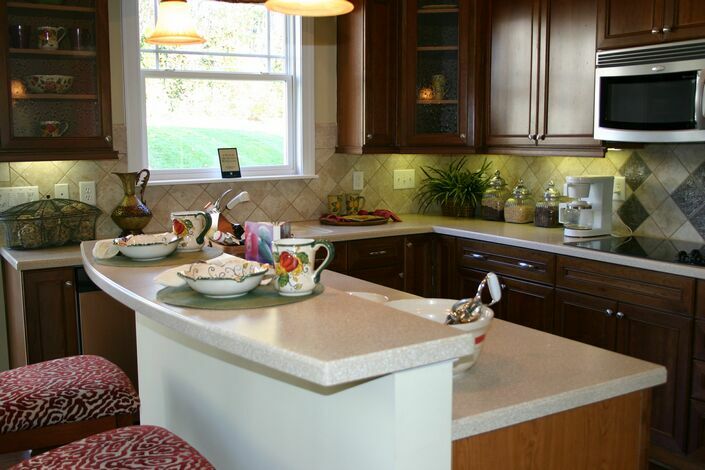 When it comes to kitchen countertop surface, no other material can beat the stones. The biggest advantage of stone counters is that they can bear heat, wear and tear, stress, and spills without complaining. On the dark side, stone countertops are cold, expensive and tough on glassware. Check out the below mentioned kitchen countertop options to know which surface full fills the needs and requirements of your kitchen. Engineered stones are aesthetically pleasing. Engineered stones remain unfazed by heat. Engineered stones countertops have very good scratch-resistant property. Engineered stones do not get affected by everyday spills. Natural stone countertop materials like slate, limestone marble and granite makes an incredible style statement. These counter surfaces come in a variety of grains, colors, textures and finishes that means it go with any design scheme. Every natural stone has its own benefits. Granite has wonderful heat resistant quality. Marble and limestone provide perfect finishing and are cheaper as compared to granite countertops. Concrete emerged out as a new trend in kitchen countertops. You can paint concrete countertops in any desired color, even embed stones, beads, jewels, and fossils. However, concrete countertops easily develop cracks and stains. This countertop material can withstand all abuse without discoloring or rusting. Stainless steel countertops are really very easy to maintain and they keep their luster for years. So, these are the popular countertop choices trending in the kitchen décor trends. No matter which countertop material you choose, do select apt granite countertop company for hassle free installation. Granite is a luxury addition to any part of the home. In order to retain beauty, granite counter tops need sealing. Due to highly porous structure, unsealed granite counters are prone to staining and stained granite tops are really very expensive to replace. Thus, if you pay attention over granite sealing, your countertop will provide you years of services without any trouble. 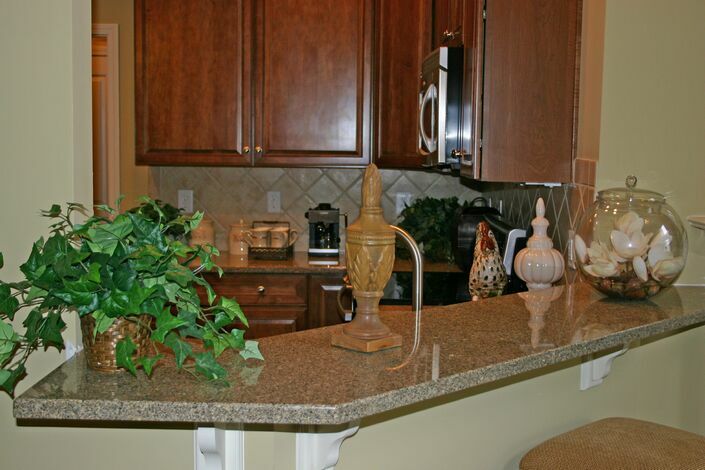 Granite sealing helps in avoiding countertop damages. Depending on your usage and granite quality, you require sealing. While all types of granite are porous, some forms of granite are solider than others. It means not all granite countertops demand frequent sealing. Solid granite can resist staining more efficiently even without sealing. In order to find if your granite kitchen countertop requires sealing, you can carry out water test. Just sprinkle 2-3 drops of water on your countertop and leave the droplets there up to 15 minutes. If granite does not absorb the water droplet then, it does not require sealing. And if water droplets get completely absorbed by granite, then it needs sealing. #1: Clean your countertop using abrasive cleaners and let it dry completely before you began the sealing process. #2: Your countertop may take up to 24 hours to get dry completely. You can see dull sheen, instead of bright shine on your granite, when it gets dry. #3: Make sure to clear all the objects from your countertop before starting the sealing process. #4: Using a dry cloth to apply sealant on the surface of your countertop. Start from corners and then move further. This action will provide maximum coverage. #5: Do not use your newly sealed countertop for some time. #6: You will get scintillating countertop after sealing! Enjoy. In order to minimize the granite sealing efforts, you should consider purchasing good quality granite. 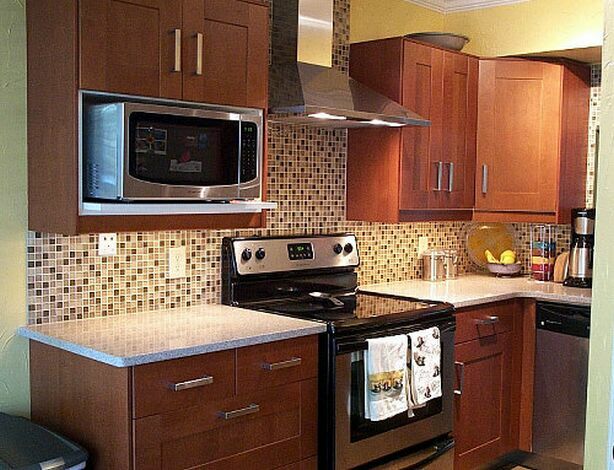 Choose reputable and trustworthy granite company for purchasing the quality product. Not all companies provide same quality granite. Kitchen countertops are essential in a kitchen. They are the backbone of the kitchen. The kitchen countertop is the main base to prepare dishes. Each and every minor kitchen work depend on these strong kitchen countertop because hot cookware’s, oven and daily food material is placed on it. Appearance of kitchen countertop adds look into the kitchen it makes a simple looking kitchen to modular kitchen. If you are planning to upgrade your kitchen, then you have a variety of options. Marble, kitchen countertops, Quartz Kitchen Countertops, Granite countertops, Solid Surface Kitchen Countertops, Bamboo surface countertops are most attractive and strongest countertops you can choose any of them.Each of this attractive kitchen countertop comes with a different style and quality. So now let us have a glance at each of these kitchens countertop made up of different material which possesses different quality. Marble kitchen countertops look very elegant and add beauty to the kitchen. As marble is very strong material so there is no chance of breakage. It also retains coolness which makes it even more perfect to use. Quartz Kitchen Countertops are another great option they come with beautiful texture of pigments. Quartz Kitchen countertops are made by engineers who make it very hard as well as heat resistant. 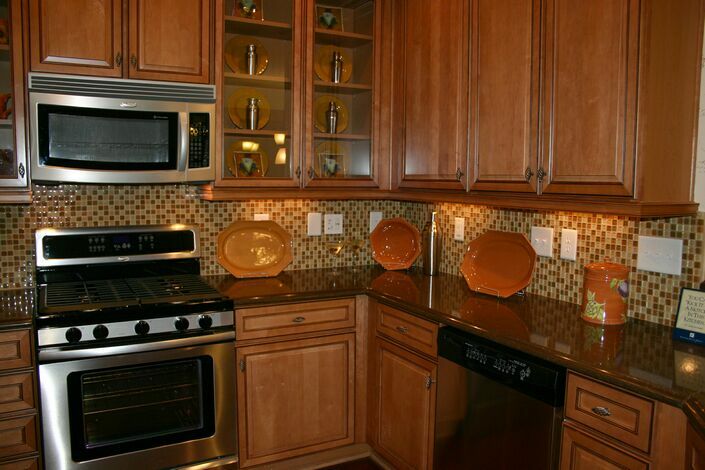 Granite is considered the favorite among all material in homes. Granite countertops are most strong kitchen countertops as granite is the hard stone and it can resist tremendous heat. It is available in various beautiful and attractive designs having different tones and shades. Solid Surface Kitchen Countertops are made up of solid acrylic or a blend of acrylic and polyester which is then shaped into any custom shape for your kitchen. Solid surface resists both tints & moistness and controls the growth of bacteria. This attractive kitchen countertop is durable and easy to clean. Bamboo surface countertops are eco-friendly countertops. The natural beauty of bamboo gives your countertop a unique natural appeal and warmth. It is very durable as well as affordable; its maintenance is also very low and also very easy to clean.